Dr Rob has been transforming smiles for 30 years. If you have chosen to get a new smile it is important to find a dentist such as Dr Rob who has undergone advanced training in the latest techniques of Smile Design. The additional skills required to become a good cosmetic dentist is often too intensive and time consuming for the majority of family dentists. He regularly attends seminars and training courses both here and in America, with some of Americas top celebrity dentists to the stars. 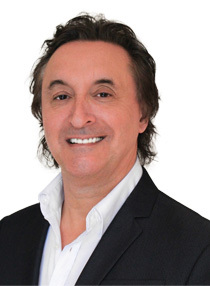 Dr Rob is a member of the American Academy of Cosmetic Dentistry. He doesn’t only treat patients from South Wales including Cardiff, Bridgend, Swansea and Newport, he also sees many patients from all over Wales, the UK and abroad. No one can attest to the skill and chair side manner of Dr Rob more than the patients who have already been there themselves. To read first-hand remarks from our patients, check out what our patients say page. To see what kind of results have been achieved by Dr. Rob and his team check out the smile gallery. To book your free consultation with Dr. Rob call us today on 0333 577 7273.